In India's fractured polity, where one-upmanship is a rule than an exception, commemorating political personalities cutting across party lines is rare. So, it would have come as a surprise for many when the BJP paid tribute to actor-turned-politician MG Ramachandran on his 100th birth anniversary on 17 January. Eight months later, as part of the continuing celebrations, the BJP-led Centre announced it would mint special Rs five and Rs 100 coins bearing his portrait. On the face of it, the decision may pass off as yet another move to commemorate the Tamil icon. But if one looks at it through the prism of Tamil Nadu's ongoing political turmoil, it is loaded with a lot of symbolism. It is no secret that the Amit Shah-led Bharatiya Janata Party is now focussing on expanding its roots in the south, and a post-Jayalalithaa Tamil Nadu provides the perfect opportunity for the right-wing party to make its presence felt. However, in the absence of strong local leadership, the BJP seems to be banking on the charisma of the late MGR to explore the uncharted Dravidian heartland. Tamil Nadu is a state where actors, like MGR, have used their cinematic fame to venture into state politics. 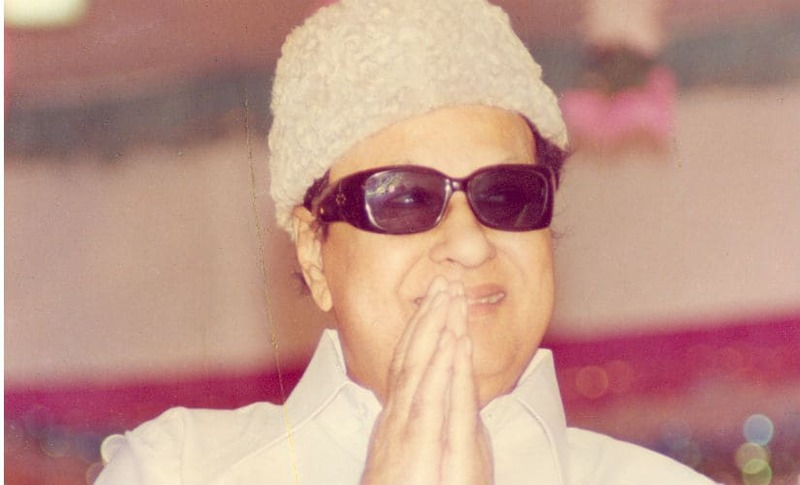 The matinee idol founded the All India Anna Dravida Munnetra Kazhagam (AIADMK) in October 1972, and went on to occupy the chief minister's position between 1977 and his death in 1987. His charisma has endured the test of time and still fetches votes for his party. The BJP first invoked MGR on the 100th birth anniversary of the matinee idol: 17 January. On that day, the BJP's acclaimed social media machinery not only paid tribute to MGR, but also mimicked the AIADMK in calling him puratchi thalaivar (revolutionary leader). 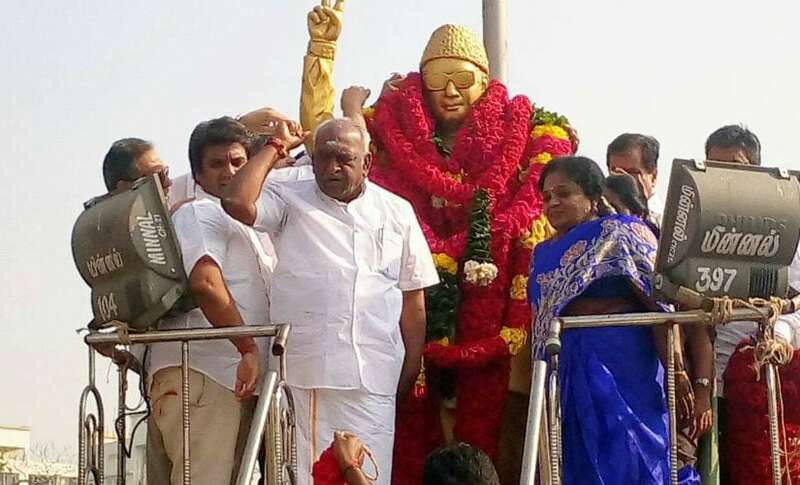 Two key functionaries of the Tamil Nadu BJP, Union minister Pon Radhakrishnan and state unit chief Tamilisai Sounderarajan, too paid floral tributes to MGR. BJP's "MGR formula" was also extended to the immediate family of the former chief minister, as seven of his close relatives, including his adopted daughter Geetha Madhumohanan, joined the party by March. 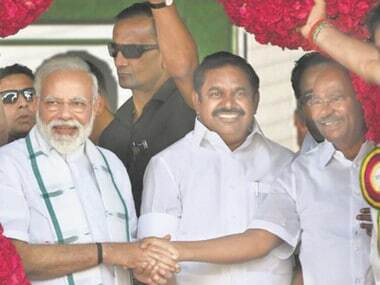 Moreover, while joining the party in the presence of Modi, MCR Praveen denounced the "family-run AIADMK", adding that the party was exploiting MGR's name and fame but ignoring his social service schemes. Prime Minister Narendra Modi too recalled MGR during his May trip to Sri Lanka. The emerald-nation has an interesting connection with the three-time chief minister, as he was born in Kandy. 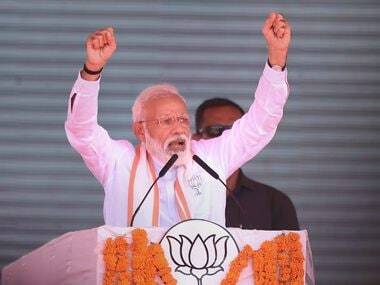 During his address to the Tamil-origin community in Dickoya, Modi said," A great icon of India, MGR was born in this soil, establishing a lifelong connection," as per a report in Hindustan Times. But apart from being his country of birth, Sri Lanka also finds a place in the political career of MGR. It is a well-established fact that as chief minister, he supported the cause of minority Tamils in the island nation. BJP's attraction for Tamil Nadu's cultural icon may be a well thought-out strategy. While MGR was a Malayali, his charisma and influence — thanks to his larger-than-life image — helped him transcend caste, community and ethnic barriers in Tamil Nadu. By appropriating MGR, the saffron party may wholly or partially be able to claim his legacy, and also solve the caste and communal tangle in Tamil Nadu politics. 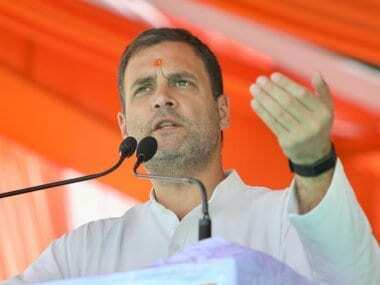 The BJP has already used this strategy at the national stage, where Opposition stalwarts such as Mahatma Gandhi, Subhash Chandra Bose and Sardar Vallabhbhai Patel are now part of the right-wing pantheon. But long before the BJP had any presence in the Dravidian citadel, the Congress party too tried to play the MGR card. In early 1988, the Rajiv Gandhi government posthumously awarded the Bharat Ratna to the AIADMK founder. Political pundits still link that decision to the Congress' plan to contest the 1989 election alone. While the Congress could only win 26 seats, its vote share rose from 16.3 percent to 19.8 percent in the 1989 elections. Though many attribute Congress' performance to the three-way split in votes between the two factions of AIADMK and the DMK, it can also be argued that the ploy to award the Bharat Ratna to MGR might have swayed a part of the MGR votebank in the Congress’ favour. The BJP has strong reasons to be interested in Tamil Nadu, as the statesends 39 Lok Sabha and 18 Rajya Sabha members to the Parliament. In February 2017, the RSS–the ideological fountainhead of the BJP – held its annual all-India conference at Coimbatore. This was the first time that it was held in Tamil Nadu. 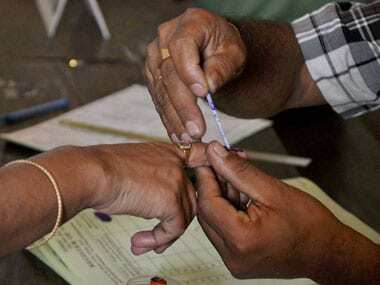 Coimbatore is considered to be an oasis of Hindutva politics in a largely Dravidian stronghold. Then there has been the frequently made allegation of the BJP trying to remote control the O Panneerselvam and E Palaniswamy administrations, in the absence of any real political presence in the state. In the coming days, the political scenario is expected to get more volatile. With TTV Dhinakaran, vowing to bring down the AIADMK government, the stability of the current dispensation, already in doubt, is further threatened. In a much anticipated move, Speaker P Dhanapal disqualified 18 MLAs of the Dhinakaran faction last Monday. This gives the EPS-OPS dispensation a slender majority in the Assembly. However, if the Madras High Court stays the disqualification, it would pave the way for further uncertainty in the state, which has reportedly been on “auto-pilot mode” after Jayalalithaa’s hospitalisation in September 2016. Amid the turmoil, the BJP would like to exploit the political vacuum in a state where it has never really been able to make it big. In what may be turn out to be a breakthrough for the BJP in the state, Palaniswamy on 18 September hinted at a possible alliance. While an alliance may not be the best scenario for the BJP, given its nationwide push to sideline state parties, it will allow the party have a say in the matters of state politics. It is not that the BJP has never won any seat in the state. In both the 1998 and 1999 Lok Sabha elections, the party won four seats, but only allying first with the AIADMK and then with the DMK.. The situation has been far worse in the Assembly, with the party opening its account only once. The vote share too tells a story of its own. Only once — in the 2001 elections — has the party been able to garner over three percent of the voteshare. Whether the BJP’s attempts to claim MGR’s legacy will benefit it electorally will now keenly be watched by pundits and the Tamil makkal.